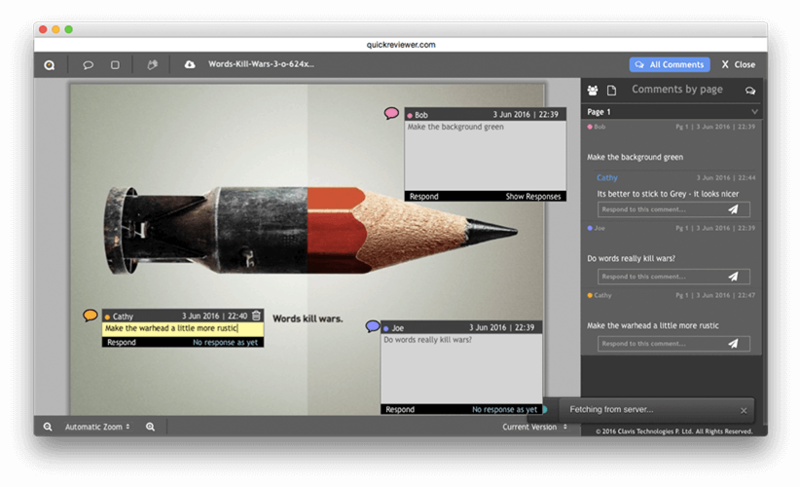 How to Use Design Collaboration Tools | How QuickReviewer Works? 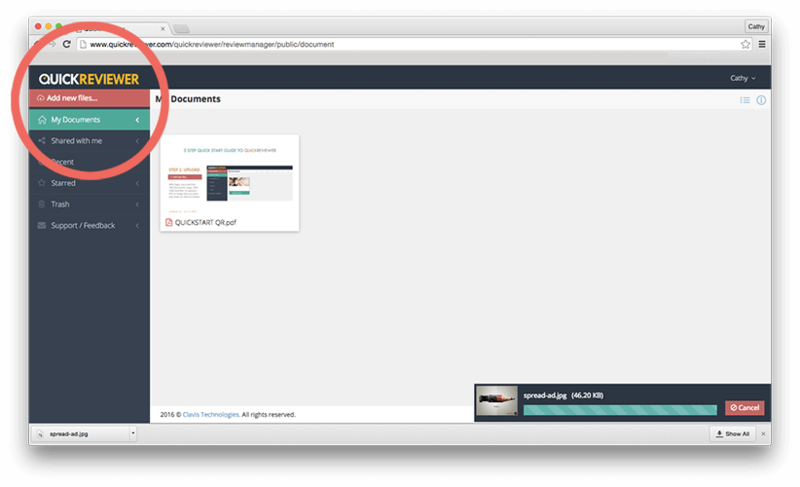 Click the ‘Add new files…’ button at the top left corner, and select the file you want to share for review. 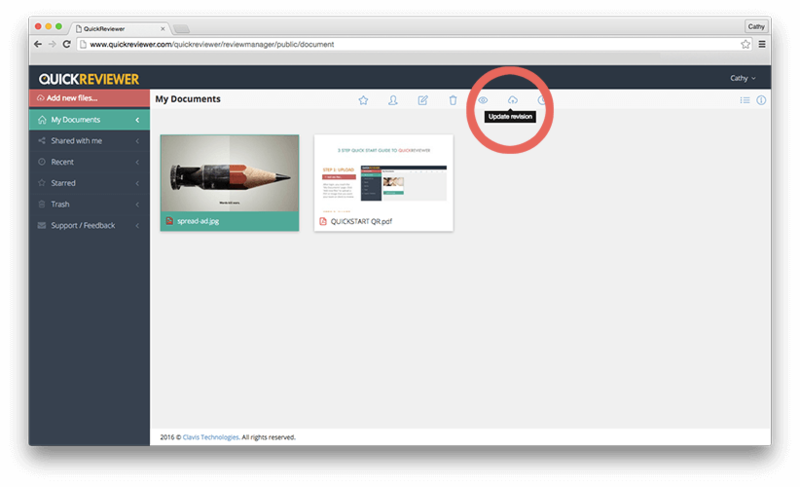 Upload Videos, PDFs, HTML Ads or Images of up to 100MB each. 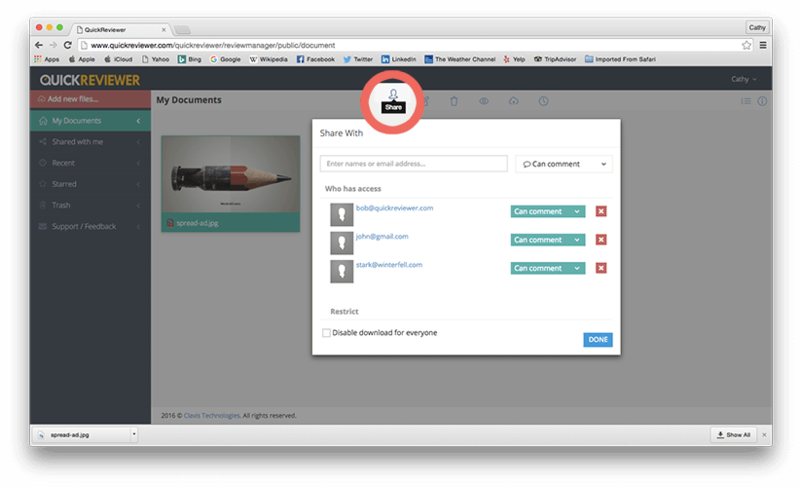 Select the file and click the Share icon in the top menu. Add any email and give them the right to Comment on or View the file. Reviewers receive an email with a link to the uploaded creative. Restrict the ability to download the shared file for offline viewing. The review window lets you add comments, highlight text, zoom, compare previous versions and see all comments by user or by page. Each user gets their own colour code so they are easy to distinguish. Everyone can see each other’s comments and reply to them, eliminating conflicting feedback. Once the updated creative is ready, select the file and click ‘Update Revision’ in the top bar. Versions are stacked, so you can refer to earlier versions and ensure that the requested changes were made. Now that you know the basics, start using the Free plan. All you need to do is register your email, login online and start using QuickReviewer.